Does that sound crazy? While everyone else is trying to find balance in their lives, I’m suggesting we need to pursue UNbalance … really? And I want you to join me! Not unbalanced as in crazy … but unbalanced as in everything isn’t equal and doesn’t deserve equal time, attention, resources, and energy. 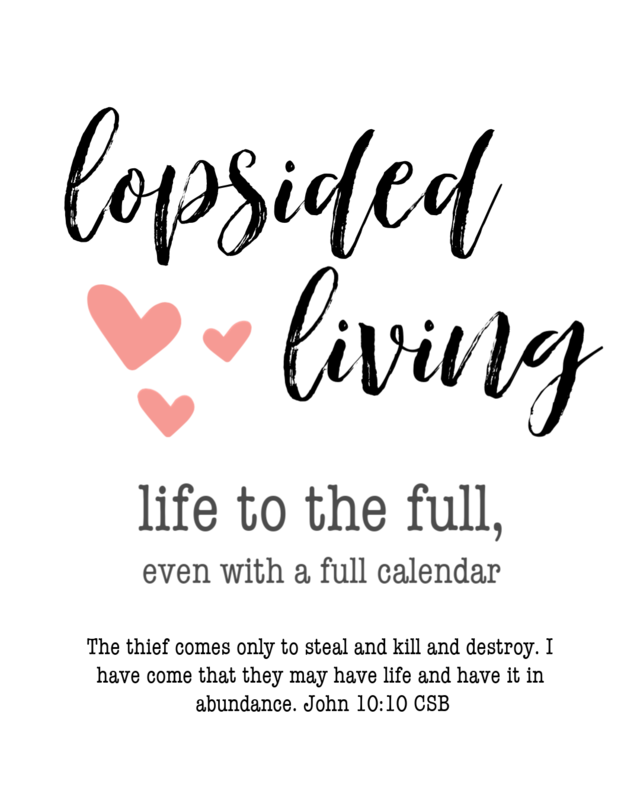 Lopsided Living isn’t about a formula or a strict set of rules. Here are some of the posts I’ve written on the topic! Want monthly encouragement, inspiration, tips, and resources for living a full life with a full calendar? Join my FULL LIFE CLUB and get insider access to exclusive content as well as practical tools and curated information designed specifically to help you purposefully pursue an unbalanced life.